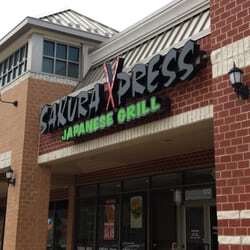 SakuraXpress is coming to the Market Square Retail Center in Prince Frederick this fall. They will be moving into the old Benjamin Moore space between Hot Licks and Dickinson Jewelers. Their restaurant will feature fast-casual Asian food and will be a great addition to the Market Square lineup. They plan to start construction in June and be moved in this fall. Check out the rendering of their new space below.